“I envy the audience being able to hear it all for the first time,” freshman vio­linist Vic­toria Nunez said of Shostakovich Sym­phony No. 5. 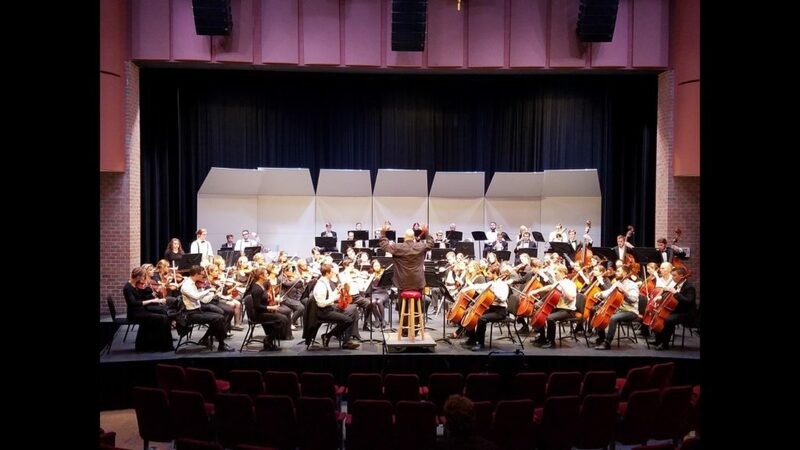 The audience will have that chance this Sat­urday and Sunday as the Hillsdale College Sym­phony Orchestra will be per­forming it in the Markel Audi­torium. 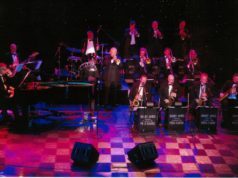 Saturday’s per­for­mance will be at 8 p.m., and the Sunday per­for­mance begins at 3 p.m.
Russian com­poser and pianist Dmitri Shostakovich com­posed his Sym­phony No. 5 in 1937, and it was first per­formed on Nov. 21 of that year. The piece has four move­ments: Mod­erato, Alle­gretto, Largo, and Allegro Non Troppo, and it will be per­formed by 75 orchestra members. Nunez said the orchestra members have been rehearsing for two hours a day, twice a week this semester, which doesn’t include the time the musi­cians practice on their own. Nunez said she is most looking forward to the fourth movement. “It starts with a mighty rumble, and I sit right in front of the drums. This means I get to expe­rience the sound­waves in such a physical way. My insides lit­erally shake when the drums are at their loudest,” she said. Three of the top five fin­ishers at the 2019 Annual Student Con­certo Aria Com­pe­tition in the beginning of the semester will perform solos this weekend as well. The solo per­for­mances will occur before the sym­phony and will last about 30 minutes, and the sym­phony will be about 40 minutes, according to Holleman. 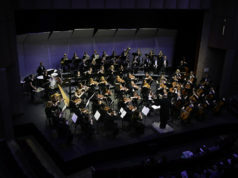 The other two fin­ishers will perform during the second sym­phony orchestra in May. Sophomore David Forman will perform Walton’s Con­certo for Viola and Orchestra on the viola, sophomore Zsanna Bodor will play Mozart’s “Una donna a quindici anni” from “Cosi Fan Tutte” on the soprano, and senior vio­linist Joshua Brown perform Tchaikovsky’s Con­certo for Violin in D minor, op. 35. Nunez said she enjoys the piece because of its nar­rative beauty. After Saturday’s per­for­mance, the Hillsdale College Jazz Combo, Primary Colors, will be per­forming in the McNamara Rehearsal Hall in the Howard Music Building. Tickets can be reserved by emailing boxoffice@hillsdale.edu or calling 517 – 607-2848.